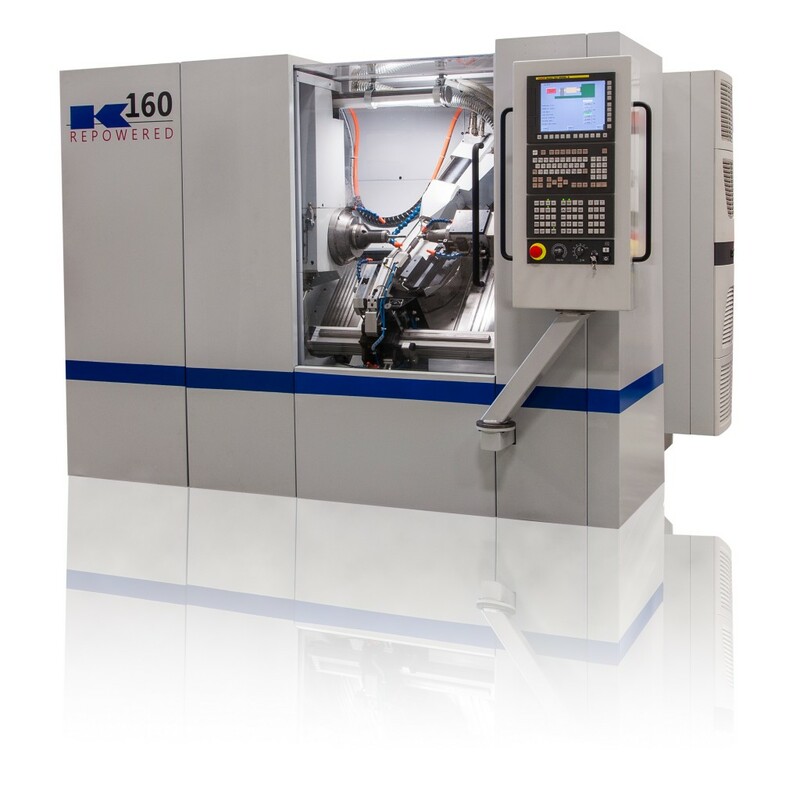 Koepfer America has completed the next step in its K-Repowered CNC re-control program with the first K160 Repowered CNC Gear Hobbing Machine, which was displayed at Gear Expo 2015 in Detroit, MI. New, potential customers were impressed with the quality of the machine as a cost-effective, like-new hobbing machine, and current customers were interested to see proof of the K-Repowered package as a new option to extending the life of their existing Koepfer Model 160. The K-Repowered Re-Control Package provides the natural solution to future-proofing existing Koepfer Models 160 and 200 for another 20+ years with Fanuc CNC. 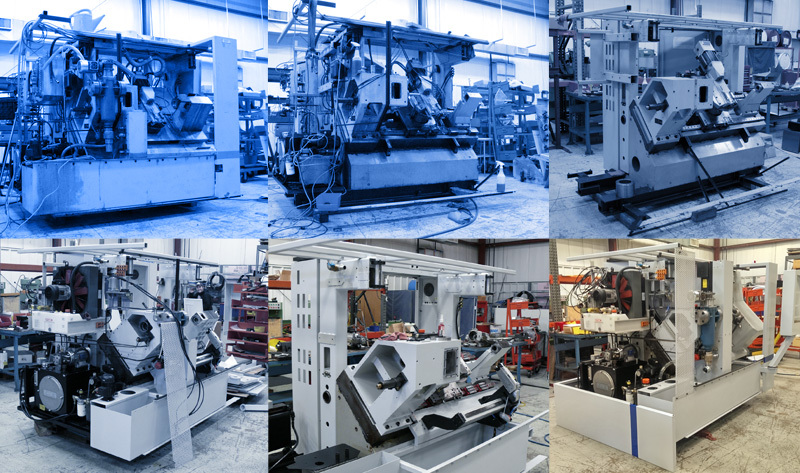 Of the hundreds of North American Koepfer machine installations, roughly half are models 160 and 200. An estimated half of those are of a vintage where the K-Repowered program should be considered by owners. After a K-Repowered Re-Control, a Koepfer Model 160 or 200 is certified and warrantied by Koepfer America. It essentially becomes a like-new machine with new and improved electronics, motors, software, controls, etc. As a simplification, all existing Koepfer Models 160 and 200 are categorized as either too new to consider the K-Repowered package or as one of the following. With a “Level 1” re-control, the machine is mechanically sound, but it would benefit from a K-Repowered Re-Control. In a “Level 2” re-control, the machine would need mechanical repair in addition to the K-Repowered Re-Control. Koepfer America sends trained, certified technicians to assess which level is the best solution for the customer’s Koepfer Model 160 or 200. A Level 1 re-control will cost approximately 1/3rd the cost of a brand new machine, whereas a Level 2 cost will vary more substantially around 2/3rds the cost of a new machine. New equipment may cost more than a K-Repowered Re-Control. Level 1 re-controls are designed to be performed in the field in a matter of weeks. This minimizes machine downtime while Koepfer America’s engineers and technicians complete the re-control. For Koepfer Models 160 and 200 that are 20+ years old (especially those that have been run hard), the K-Repowered Re-Control Package is an economic alternative compared to the full purchase of new equipment. Koepfer America has always focused on customer service and being a partner with gear manufacturers. The development of the K-Repowered program demonstrates the dedication to this mission. As Koepfer America’s machine install base continues to grow, it also continues to age. Gear manufacturers rely on Koepfer to ensure the longevity, effectiveness, and uptime of their Koepfer CNC gear hobbing machines. They can rest assured that their Koepfer Models 160 and 200 can have several decades ahead to continue providing industry-leading flexible gear cutting, automation, and some of the easiest-to-use software and ergonomic machine designs.